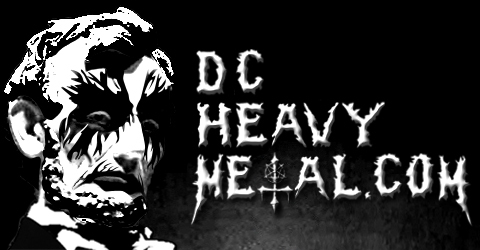 Grimy Grant is back with another album review for DCHeavyMetal.com. This time he’s reviewing the new EP by Northern Virginia death metal band Grethor. Give it a read and be sure to give a listen to one of the songs at the bottom of this post. Back in college, I took a survey course in Science Fiction. The professor, being an admittedly avid weirdo and Sci-Fi geek, demonstrated how you can split the genre of Sci-Fi into two groups: Star Wars-esque Sci-Fi and Star Trek-esque Sci-Fi. Star Wars refers to all the campy, unbelievable stories that hold only a little grip on reality (Think Predator, Stargate, or any SyFy channel original movie). Star Trek, on the other hand, was a show dedicated to “real” science, even if it meant fringe science. In other words, everything in “hard” Sci-Fi can be defended or explained by your physicist friends. Hard Sci-Fi, then, can be understood to worship logical reasoning above everything else. This is soon followed by the sounds of a spaceship crashing and exploding followed by the roars of some futuristic animal ready to tear us apart. It felt as if Grethor wanted me to learn a bit about the importance of physics and then leave me in the bleak yet gorgeous void as shown on the album art. That sense of being lost didn’t last long. The first song, “Anomoly X”, set the tone and the message for the rest of the album in my mind. After a slow intro, singer Marcus Lawrence preaches the word of astronomy: “We look to the skies; Inward we look for the vastness of connection”. Marcus begs us to give up the hope of “false exhalations” that mankind comes from godhood. We are simple creatures making vague notions of what is real until we “choose the gift of enlightenment” and become truly free in knowing our part in the universe. It’s definitely a humbling message that repeats back the quote from the intro. The point that comes across here in the lyrics is black and white. That Grethor is talking about how “The inferiority of self” coming from learning about the cosmos – or anything bigger than us – causes some in society to take devastating action – even if it’s against the actual greater good. Or as it is poetically growled in the song: “Men arrogantly justify killing one/Who seeks truth, and they call it heresy”. Guitarists Robert Lute, Andy McComas, and bassist Nick Rothe don’t flex a lot of guitar muscle in this album. Instead, they allow the sound to swell and compress over and over again – going from a black metal-style harmony to crushing, quickened riffs. “Anomoly X” starts with a beautiful and steady rhythm that then dissolves into a slow guitar melody. It made me think back to the cover art featuring the nebula and stars colliding together. Everything in the song “Anomoly X” crashes yet seemingly blends together, which was hard to get into at first but gets me more and more hooked after each listen. “Tenebrous” and “Hypatia” feature elements that I love about the album: symphonic harmony that starts after the end of the song and provides a kind of psychotic break. It serves as a strange pause between “Tenebrous” and the pounding rhythm of “Hypatia”. Galaxia does suffer from it’s technical issues. It’s mentioned in the liner notes that come with the album that all parts of the album except the last song were mixed in Maryland, while the final song, “Alternate Lexicon,” was done in Virginia. However it happened, the mix on “Anomoly X” as well as “Tenebrous”, seems way too rough. At some points in “Anomoly X” the guitars almost seem to be coming from the back of the room whilst Lawrence is jamming his voice straight into the mic. I’m still able to get into the song but the levels and rough edges of the mix tend to get in the way of really enjoying it sometimes. The mix gets significantly better in “Hypatia”, where the vocals mix well with the rest of the band, coming to the fore right at the moment of the breakdown. As a finale “Alternate Lexicon” weaves together some beautiful guitar work with amazing drums from Anthony Rouse, despite the difference in moving locations for recording. Maybe this all is a result of something that happened organically in the sound mixing booth, but the final product is rough at the beginning which could turn some people off from listening to the rest. Science fiction is about the fear not only of our future but our present. 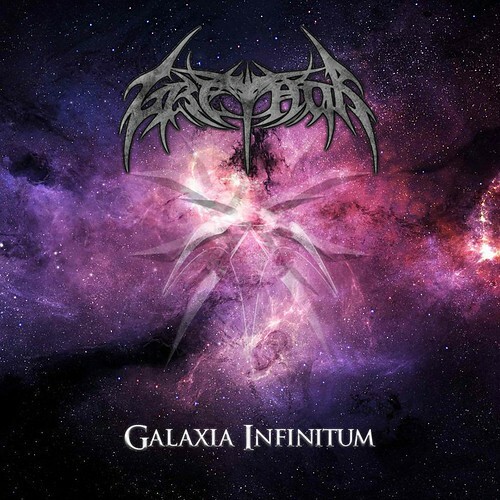 Galaxia Infinitum dazzles with moments of echoing guitars, drums, and robot voices – all things both future and present. The digital album came with a lyrics sheet of the liner notes, which is something I appreciated. Grethor’s lyrics in this album create a world beyond the expansive noise – something that is better read sometimes than heard. Despite the rough edges, and there are some rough parts, there is a lot of story and great points brought out. Interestingly, I could say the same for Star Trek: rough around the edges but chock full of deadly surprises and decent science worship. But there is no living long and prospering in Galaxia Infinitum; just sharp, precise death metal that chills the soul.